This campaign took dynamic DOOH to a new level. Using in app advertising we pulled tweets and images from throughout the country – all featuring Oral B’s ‘crack a smile’ cartoon lips filter – and dynamically served them to the iconic One Screen in Piccadilly Circus. 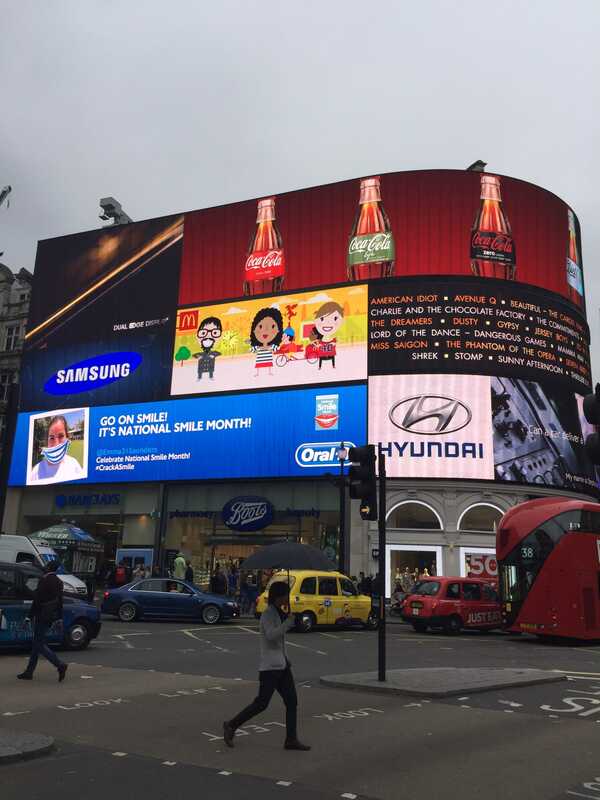 Using our propitiatory system – Hero™ – pictures of the photos featured on One in Piccadilly were then sent back to the originator, closing the social media loop and allowing them to be re-shared, significantly enhancing the campaigns reach.